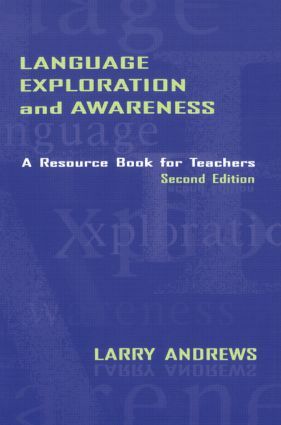 This book shows English teachers how they can expand their curriculum beyond the traditional emphases on grammar and syntax, to help their students learn about the many aspects of the English language--including general semantics, regional and social dialects, syntax, spelling, history of the English language, social language conventions, lexicography, and word origins. The text reviews basic aspects of English language study in classrooms, then illustrates how teachers can create student-centered, inquiry-oriented activities for the learners in their classrooms. Written from a "language in cultural and social context" perspective, this text stresses the uses of authentic language as it is used by real people for real purposes in diverse social contexts. * emphasizes how language is a distinctly human activity and how successful language use is dependent on appropriate choices driven by social context. * Demonstrates--through numerous sample classroom activities, many of which have been prepared by classroom teachers--how language study can be more meaningful and enjoyable for students. *Features two unique chapters--one on the languages of intolerance and discrimination and one on how teachers can help English-as-a-Second-Language learners in mainstream classrooms. *Includes "For Your Information and Practice" activities in each chapter to help readers deepen and clarify their understandings of the content. Grammar, Spelling, and "Good English"